No development without a development goal. One of the main goals for Bforartists is the rewrite of the graphical UI. The concept already exists. It will be QT based. It will centralize the places for tools and settings. And we will change quite a few more things while rewriting the graphical UI. You can find the two existing pdf's below so that you can see what awaits you here. The first document describes in detail what to change. And even more important what the benefits of the changes are. The second document is currently more a draft, a list of all UI elements with a first basic dark colour scheme. Both documents will most probably change here and there while developing the prototype. And may change again when implementing it into Bforartists. We need of course first an initial release, with own icons and own name. We don't want to break copyrights. So that's the first goal, to port the whole project from Blender to Bforartists. I am already working at this problem. The short answer is: because it is more than time that somebody fixes the cruel Blender UI! The UI dilemma already has lasted for too long. And i simply don't see the currently responsible staff being able to do that. Even after their recent announcement to have a break for one year and finally tackle the UI issue. It's still the same people responsible with still the same odd ideas about UI / UX design. The same people who didn't manage to create a good UI in the past 13 years. So chances are very small that they manage it this time. This is it, we are live. So what is Bforartists? 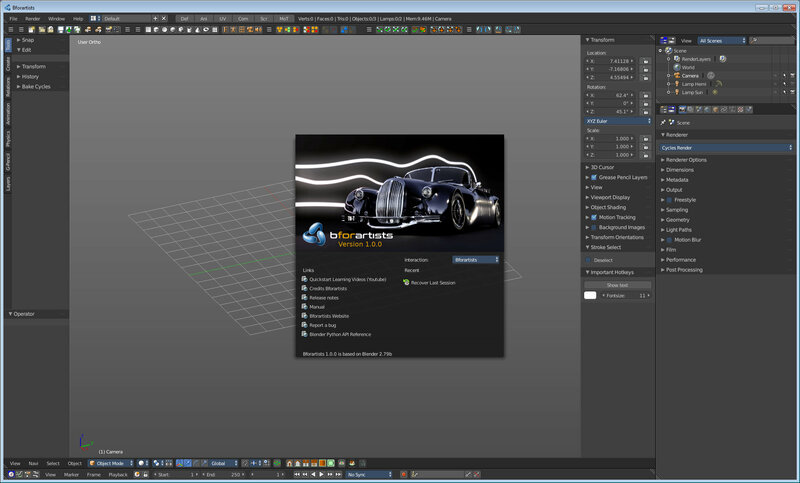 In short: Bforartists is a project to create a Blender fork with a much better UI and usability. And with the goal to fix all those crazy UI / UX design issues from the past. Like the almighty RMB select issue, which has stopped generations of wanabee Blender users right in the first five seconds.